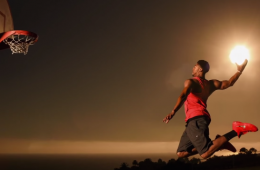 New Orleans Pelicans celestial star Anthony Davis hooked up with Red Bull early in the morning to dunk the sun. 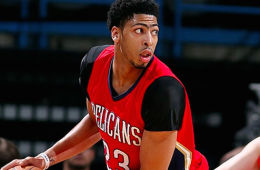 New Orleans Pelicans star Anthony Davis was a guest on The Late Late Show with James Corden . 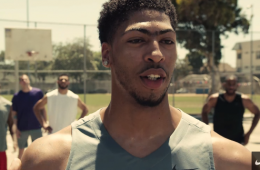 New Orleans Pelicans forward Anthony Davis stars in the latest multi-sport Nike commercial titled Short A Guy. The New Orleans Pelicans locked up rising superstar Anthony Davis on a five-year, $145 million extension that begins next season. 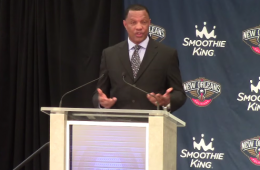 Today the Pelicans officially introduced former Warriors assistant Alvin Gentry as their new coach to the New Orleans media. Even if you're not gonna check out the Pixels movie. 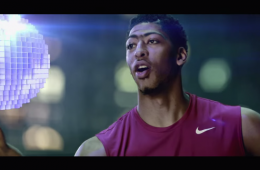 Watch Anthony Davis play for the planet in a high stakes game of one-on-one against Pac-Man. 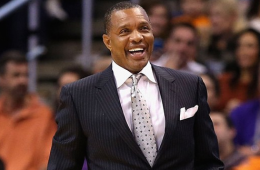 The New Orleans Pelicans named Alvin Gentry the team’s head coach. 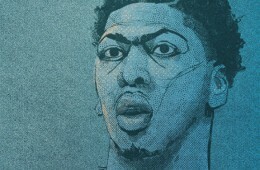 Designer Ryan Simpson captures New Orleans Pelicans forward Anthony Davis in this sketch inspired by "The Brows" first ever playoff run. 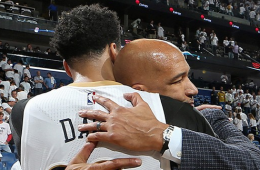 Today the New Orleans Pelicans announced Monty Williams (overall record of 173-221) has been released as the team’s head coach. 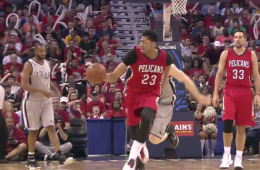 The New Orleans Pelicans went down in four games, but Anthony Davis made sure it wasn't without a fight every game. 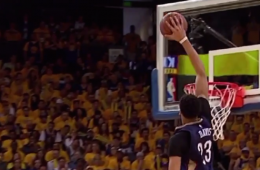 In a New Orleans Pelicans loss to the Warriors, Anthony Davis has great playoff debut netting 35 points, seven rebounds, four blocks, 1 dime and one steal. 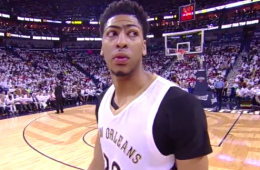 New Orleans Pelicans forward Anthony Davis dropped 31 points and swatted three shots to help his team advance to the playoffs for first time since 2011. 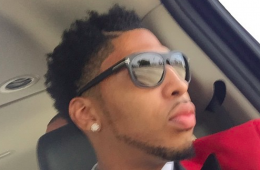 The New Orleans Pelicans are desperate to use whatever is left in the tank for their final playoff push. 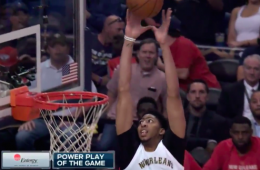 Anthony Davis did everything in his power to help the New Orleans Pelicans beat the visiting Denver Nuggets and when I say everything, I mean everything.